The ISSM is deeply saddened to announce the sudden passing of our colleague Dr. Andre T. Guay on December 16, 2014. Dr. Guay was a distinguished member of the ISSM, the Sexual Medicine Society of North American (SMSNA), and the International Society for the Study of Women's Sexual Health (ISSWSH). Dr. Guay was the Director of the Center For Sexual Function (Endocrinology) at Lahey Clinic Northshore in Peabody, Massachusetts, USA. He was also a staff physician in the Department of Endocrinology at the Lahey Clinic Medical Center. He taught endocrinology and sexual medicine at Lahey for over 40 years and had served on the faculty of Tufts University School of Medicine since 1999. Earlier this year, the Massachusetts Medical Society honored Dr. Guay with the Men's Health Award, recognizing his contributions to the cause of men's health. His colleagues described him as a "pioneer and leader in the field of men’s sexual dysfunction" and noted his international reputation, published works, and roles in medical societies. Dr. Guay received other awards as well, including the Rokitansky Award from Saint Vincent Hospital, the Yearly Research Award from Lahey Clinic, and the Distinguished Service Award in Sexual Medicine from the SMSNA. He was a Fellow of the American College of Physicians and the American College of Endocrinology. 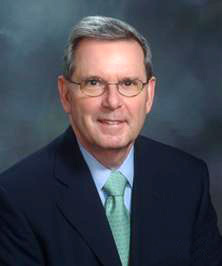 After completing his bachelor's degree at Boston College, Dr. Guay received his medical degree from the New Jersey College of Medicine and Dentistry in 1968. He conducted his internship and residency in Internal Medicine at Saint Vincent Hospital / University of Massachusetts Medical School. He attended the Mayo Clinic for his specialty training in Endocrinology and Metabolism. He served in the U.S. Navy from 1974 to 1977 and earned the rank of Lieutenant Commander as a staff physician at the Naval Regional Medical Center in Virginia. Our thoughts are with Dr. Guay's wife, children, and grandchildren at this time.